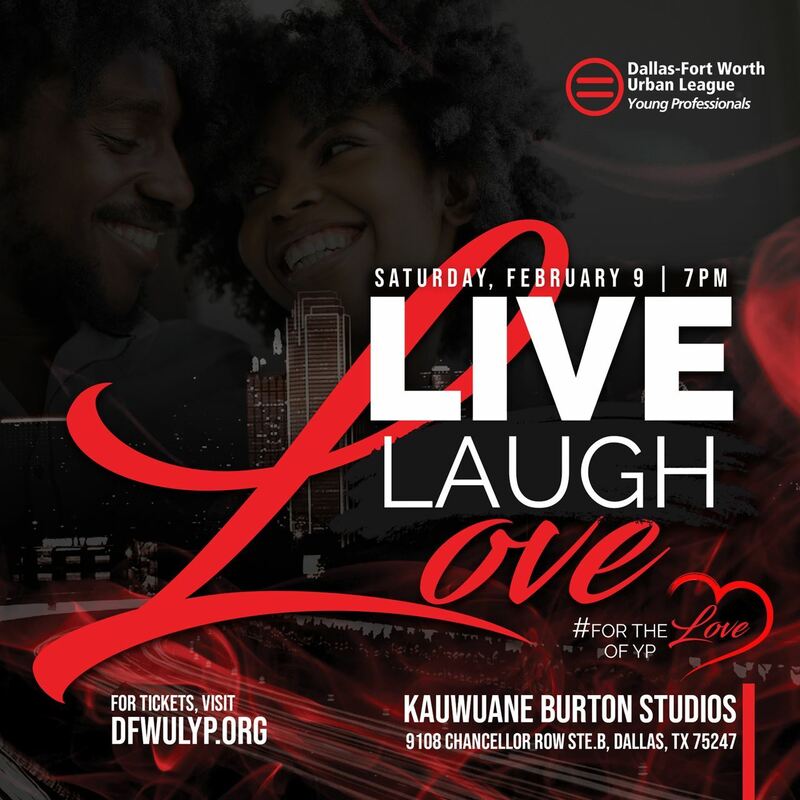 Live, Laugh, Love 2019 is a celebration of Black Love! Join us for food, entertainment and REAL TALK about dating and relationships. Our Health & Quality of Life Committee is dedicated to your relational wellness. This includes helping you be more intentional with all of your relationships! This celebration of love is for both singles & couples so bring your spouse, your friends or your bae for a night to remember! "Black Love in DFW": catch the premiere of a mini-documentary all about dating and marriage in the DFW-metroplex. YP's version of the popular show "Black Love" on OWN, listen in on the highs, the lows and absolutely hilarious realities of relationships as we highlight the importance of committed connection in our communities. Love Life Panel: Want to hear from real couples talk about life and love through the generations? We've got a power packed panel of lovers ranging from newlyweds to lifelong committers ready for real talk. YP Love Connection Game Show: That's right! YP is playing match maker on the Life, Laugh, Love stage this year! Contestants will blindly choose their dates and 4 lucky singles will win a date night experience sponsored by us! Drinks, vendors, giveaways and MORE! Please be aware that by attending this event, you grant Dallas-Fort Worth Urban League Young Professionals and its Event Sponsors permission to utilize your name, image, likeness, acts, poses, plays, appearance, movements, and statements in any live or recorded audio, video, or photographic display or other transmission, exhibition, publication or reproduction made of, or at, the event (regardless of whether before, during or after event) for any purpose, in any manner, in any medium or context now known or hereafter developed, without further authorization from, or compensation to, you or anyone acting on your behalf. ALL SALES ARE FINAL. NOT TRANSFERABLE. NO REFUNDS. Restrictions: Ticket is a revocable license. Any violation of law, or any inappropriate behavior by the user of this ticket may result in revocation of the license with no refund of the purchase price or any associated charges. No refunds, exchanges, or time extensions on expired tickets. Ticket is not redeemable for cash, not for re-sale, and not valid with any other offer. Dallas Fort Worth Urban League Young Professionals or sponsors is not responsible for any lost, duplicate, or stolen ticket(s). All prices listed are in US dollars.